mmCineplexes is Malaysia's fourth largest and fastest growing cinema circuit. With a passion for quality, from plush seats, best popcorn, to an amazing array of international and local films offering the best value to you. 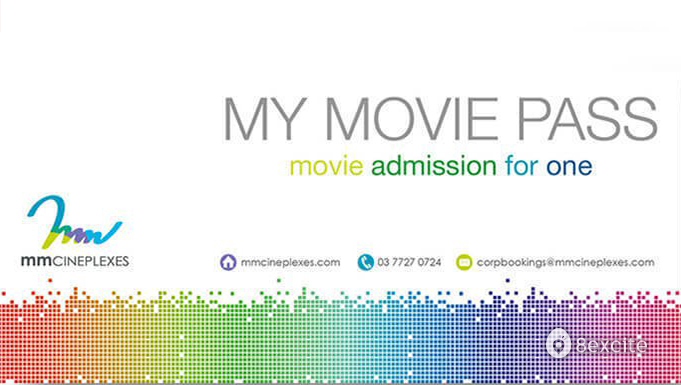 This voucher entitles you to one admission for 2 persons at mmCineplexes in Malaysia only. Strictly no extension at the expiry date reflected on this voucher will be permitted. No replacement of this voucher will be provided if it is lost or damaged or presented with a tampered barcode. This voucher is not valid for phone, internet, group or corporate bookings and must be presented at the box office counter for redemption. This voucher is not refundable, can not be exchange for cash and is not valid with other promotions, offers and/or discounts.